if things in your life are a bit intense at the moment, worry not, that is just normal. It´s the cosmic weather and there´s a higher purpose behind it. It´s a transitioning periode where we have to let go of all that´s no longer working for us and instead go for our dreams, even if we have no idea how, where and when we will reach them. We don´t have to know this. Just drop what is holding you back (your old programming) and reboot your system. It´ll help you a lot if you try to stay calm and centered and just focus on this purpose. And if you can not stay calm, as the energies are very fiery and intense, channel them into constructive actions. What does that mean? Don´t fight the unwanted, go for the wanted! On August 5th 2018 there will be my next Monthly Rose Touch. As always people can message me if they want to be included as a receiver of the loving Rose Energies sended out their way. You can also ask to have your own kids under 14 or your pets on the list. If you want to join life you can register here for free: https://www.sofengo.de/w/300974. The Rose Touch is this time on a sunday and the date was given me by the Rose, because it is 3 days before the Lions Gate of 8/8/2018. While that day special energies are coming in and they will be the topic for my Rose Talk after the Rose Touch is sended out. 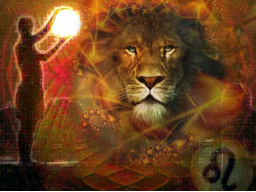 I have been told that the transmission while the Rose Touch will be a preparing for the Lions Gate and that the Energies will take 3 days to be fully integrated in the body, timely for the opening portal, flooding you with beautiful frequencies. All webinars include a replay. In this way you can tune into the quantum energies any time and as often as you wish. 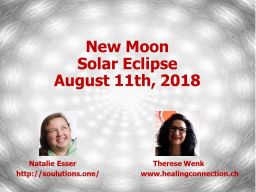 On Sunday 10th of June 2018, I will start a webinar that will have 3 sessions, three sundays in a row, to have an intensive experience and deeper and easier anchoring of the transmitted energies for the participants. 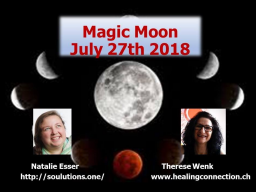 The Webinar about the healing of the heart “Herzensheilung – Intensiv Webinar mit dem Rose Touch” is for german speaking people only. If you´d be interested in an english version, please let me know. Maybe I can offer it in english after the german series is over. But for the benefit of the participants, and to manage my own energy properly, I will only have one Intensive at a time. I am sure this summer will bring surprises for all of us and to be centered within our hearts, connected with our own I Am Beingness, is the best approach we can take, as it allows us to make wise decisions and to thrive. As always: Love is the question, option and answer.